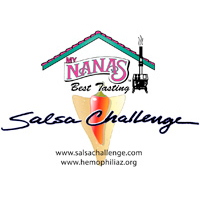 The Chadwicks are honored to return to play at The 29th Annual My Nana’s Best Tasting Salsa Challenge on Saturday, April 27th! The Arizona Hemophilia Association puts this AMAZING event on every year to help fund Camp HONOR, which is a week filled with fun outdoor activities and educational programs for children affected by an inherited bleeding disorder. Come out and enjoy yourself while helping to make a difference! Click here to buy tickets.